2.1.1 What’s involved in scanning the Macro (External) environment? What’s involved in scanning the Macro (External) environment? 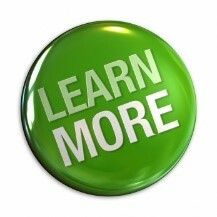 So, let’s start by exploring the external environment also known as the MACRO environment. Where you shop in Britain has always been one of the great social signifiers. According to shopping folklore, for the middle classes it is Marks and Spencer, for the upper-middle class Waitrose, and Morrison’s is the redoubt of lower-middle class Britain. 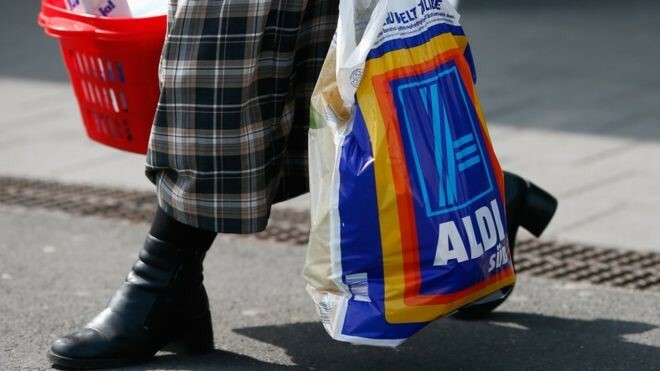 But the big four retailers - Tesco, Asda, Sainsbury's and Morrison’s - have been facing a game-changing threat as German competitors Aldi and Lidl cut into their market share with no-frills shopping that is marking a generational shift in retail patterns. 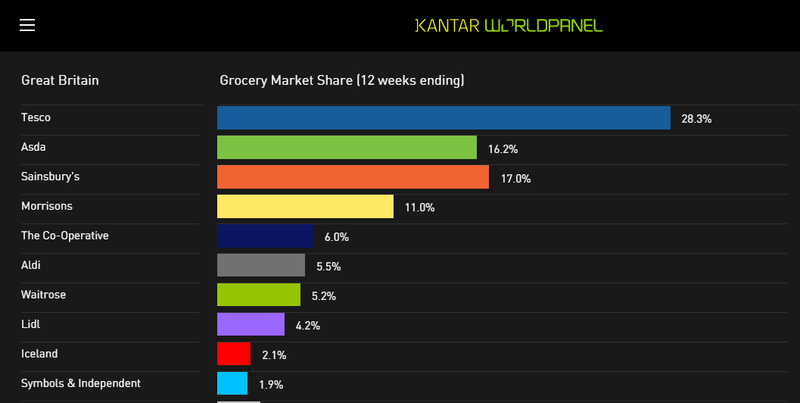 The latest statistics for the 12 weeks to 13 September from Kantar World Panel UK show just how bruising the business landscape has become for the UK's grocery retailers. The big four still occupy the commanding heights in terms of market share in grocery retail: Tesco 28.2%, Asda 16.7%, Sainsbury's 16.2%, Morrison’s 10.7%. By comparison, Aldi still only has 5.6%, and Lidl 4.2%, of the entire UK grocery market. But it is in the growth figures that the pain is visible. Sainsbury's managed a mere 0.9% growth over the same period, Tesco and Morrison’s both dropped 1.4%, while Asda fell 2.9% in terms of sales growth. Yet Aldi and Lidl have achieved spectacular growth of 17.3% and 16%, respectively. What went wrong at Morrison’s, in particular, has become a signal lesson in what to avoid in grocery retailing. Analysts say its thrust for online sales, where the slice of the profits pie is smaller, undermined the profitability at its stores. Also, that its foray into convenience stores did not fit its more traditional format and that austerity and deflation provided the profit-losing backdrop to all of this. In the meantime, they say, their German competitors have simply built a better mousetrap. Rather than offering a wide range of choice to trolley-stacking weekly shoppers, the discounting German chains are aimed at the little-but-often shoppers. What do you think were the external (Macro) factors that have contributed to the popularity of cut-price supermarket chains such as Aldi and Lidl? One of the most effective and popular frameworks that marketers use to analysis the macro environmental forces is the PESTLE model. PESTLE is an acronym that acts as a checklist of those areas where marketers need to assess opportunities and threats. 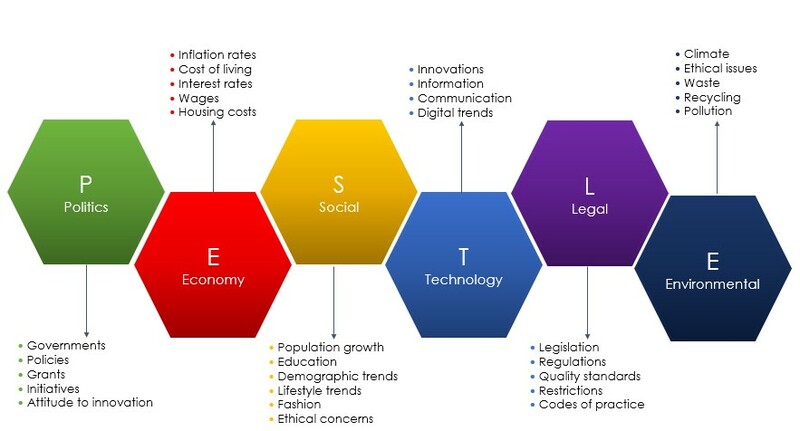 Each area of the PESTLE model should be scanned for the potential opportunities and threats that are of relevance and significance to the organisation. Marketers are constantly updating and reviewing research that will tell them what factors will affect the business and the marketing strategy. 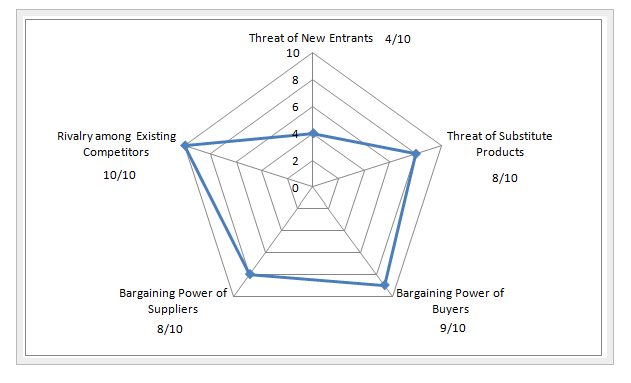 This analysis is then used along with other models such as the SWOT analysis that help inform the strategic response and action plan. Political: Russia temporarily closed some restaurants in retaliation for Western trading sanctions imposed because of its military intervention in Ukraine. A strike by workers at key American ports left Japan without American grown potatoes, affecting sales. Economic: 2008-09 recession and tough price competition from other fast-food restaurant like Burger King squeezed and Subway, squeezed McDonald’s profit margin. Social: The original McDonald’s menu is no longer relevant to today’s consumers who expect a more diverse choice of international foods. And who are acutely aware of obesity issues with adults and children in the Western world. Young adult consumers have turned away from the brand as it is no longer ‘cool’; associated more with children’s meals than an on-trend adult dining. Technology: The food counter process is no longer fast enough for today’s digitally connected consumers . Other restaurants have introduced touch-screen technology to enable consumers to ‘click and collect’ their orders. 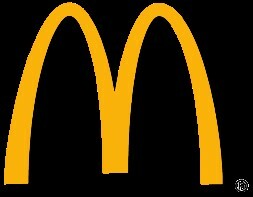 Legal: A number of major changes to legislation has impacted on fast food restaurants across the world. In the UK, local planning laws have been changed in order to restrict the number of fast food restaurants being opened in any one area. In London, fast food restaurants are discouraged from opening near to schools and in China food standards legislation has been tightened as a result of major food scares involving McDonald’s meat products. Environment: Water pollution in China, rain forest destruction in Brazil and sustainable farming issues have all hit McDonald’s reputation as a brand over the past 10 years. Click on the button here to find out more about how business use business planning and the PESTLE analysis to inform their marketing plans. Thinking about your own organisation, or one you know well, what do you think are the major external (Macro) forces affecting it today? So far we’ve have explored some of the about the forces in the external environment that will have an important impact on the marketing decisions we make. For example, a change in economic forces may mean we have to adjust product/service prices. This can be reducing them, because a reduction in customer spending ability, or increasing them because of improved prosperity. Here’s an example of how oil companies such as Shell and BP have had to adjust their petrol prices at the retail pump’s, and ensure they are competing with low-price discounters such as Asda and Tesco. The direct and indirect competition that businesses face is another vital component in the macro environment, and marketers will often invest heavily into tracking competitive intensity. Monitoring competitor’s activity helps marketers to understand their rival’s marketing mix, and to address any strengths and weaknesses in their own strategies. Similarly, this environmental scanning will also indicate where the big opportunities and threats lie. One of the key metrics to tracking competitive activity is to measure advertising spend, price monitors and brand shares. Marketers may have the resources to do this for themselves, but often data is brought from a range of sources. For example, Kantar World Panel is a poplar research agency supplying relative brand share information across all major global markets and sectors. But perhaps the most popular framework for assessing competitive strength was developed, again, by Michael Porter. 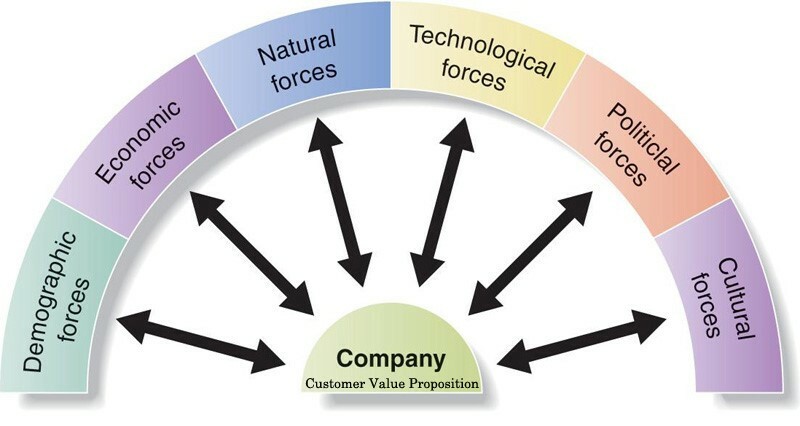 His ‘5 Forces Analysis’ framework is a simple tool designed to help marketers understand the competitive intensity in their particular marketplace. Force 1: Supplier Power: How easy is it for suppliers to control prices? Marketers need to assess their own strength as a customer, and that of their supplier’s. Power comes from a unique skill, product or brand that can’t easily be sourced elsewhere or is difficult to substitute. Force 2: Buyer Power: Here marketers need to understand how easy it is for customers to control prices. In markets where they have a lot of choice and alternatives, buyers have a great deal of power. 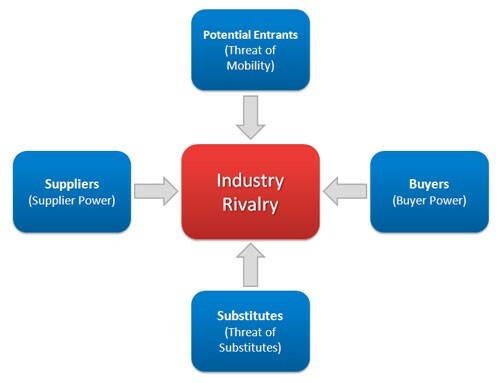 Force 3: Competitive Rivalry: This evaluates how intense the competition is for a product or service. Many competitors in a market, all offering similar products/services at similar prices and with similar benefits, makes it vital that brands constantly adjust their marketing mix to protect market share. 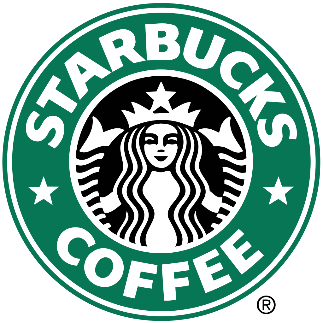 Force 4: Threat of Substitution: Do customers have a substitute that can replace your product/service? 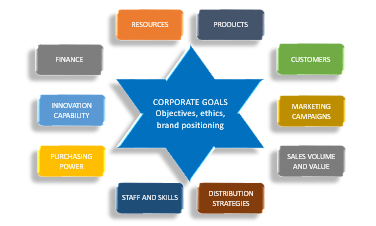 Where there are many alternatives (indirect competition), brands face even greater competitive intensity. 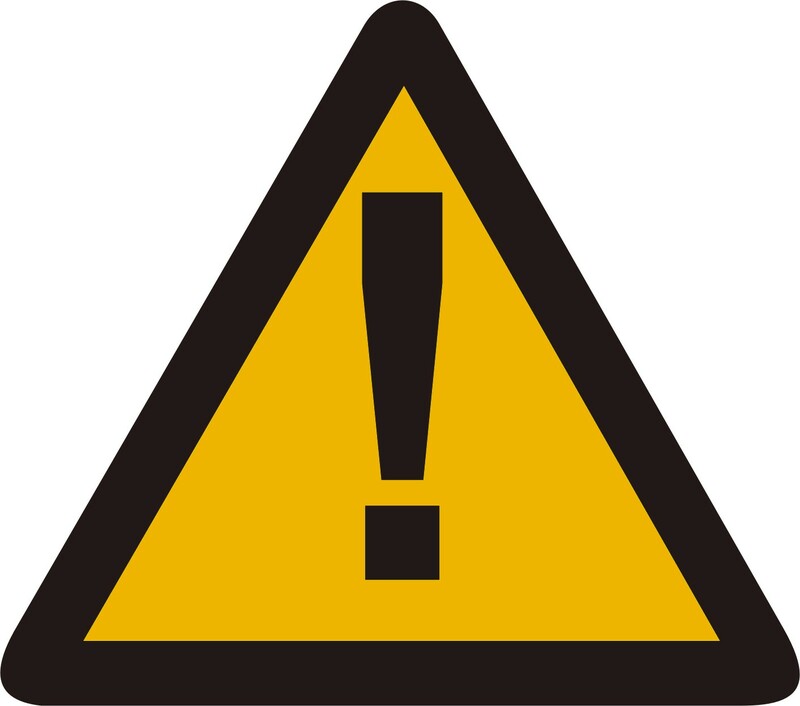 Force 5: Threat of New Entry: How easy is it for businesses to start up in a particular market? Marketers need to understand the ease with which new competitors can enter their market and that could weaken their position.